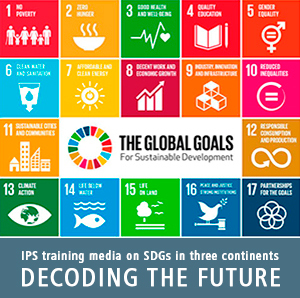 "Including SDGs in the Journalism agenda Focus on Habitat III: sustainable cities "
Francisco Sierra Caballero, Director General, Ciespal, Fernando Pachano, UN representative, IPS America Latina Trainers. Session 1. The 2030 Agenda and the Sustainable Development Goals (SDGs). What world we want to live in within 15 years? 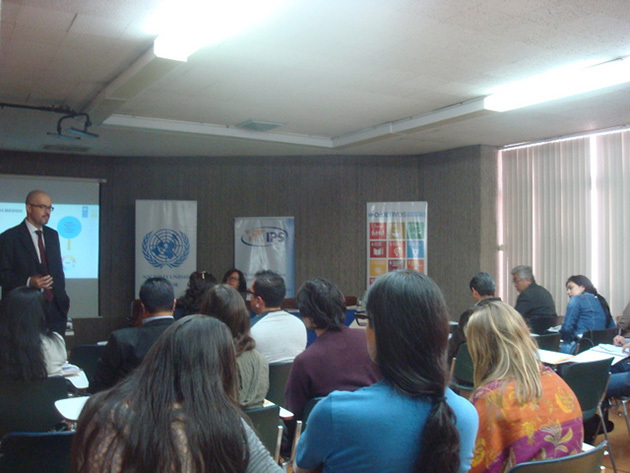 Fernando Pachano, UNDP representative for Democratic Governance and Social Development. Session 2. Gender equality, a cross-cutting issue in the SDGs. Session 3. Nutrition and agriculture as essential elements to achieve the whole set of SDGs. Session 4. The construction of sustainable and inclusive cities from the field and the reports. Florencia Amaro, Chief editor, Techo Internacional. Session 5. Urban Challenges in Ecuador in the light of Habitat III. Julio Echeverría, Executive Director, Instituto Ciudad. Session 6. 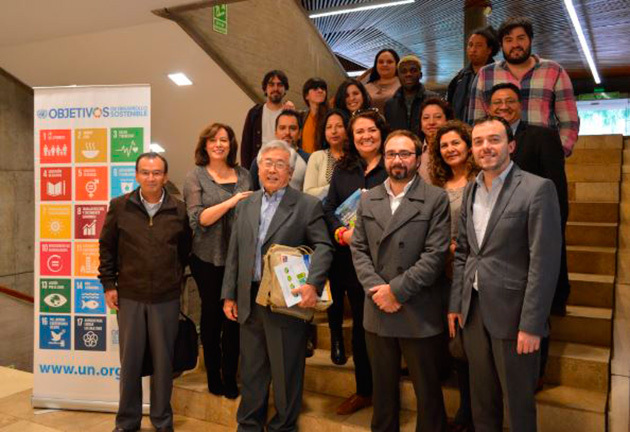 Toward a “glocal” citizenship, the impact of SDGs in urban dwellers. Claudia Arteaga, Executive Director, FIDAL. Session 7. Toward a national model of waste management and industrialization. Renán de la Torre, General Coordinator of Fundación Centro Intercultural de Desarrollo Alternativo Sisa Quilla. Session 8. The view of social organisations towards Habitat III. Fernando Carrión, General Coordinator of the alternative forum, Flacso. Visit to the Project El derecho a la Vivienda - San Juan Bosco del Itchimbia. Quito. Session 9. Putting it all together – Research/Discussion. Session 10. How to translate the field experience into media reporting. Session 11. Sources and Voices to be included. Estrella Gutiérrez and Mario Osava. Certificates of participation and Close of workshop.